Free listening,"Soulmates" is a sweetly sinister blend of quirky dance beats and dark images. "We can't wait to see what else she has in store for us!" 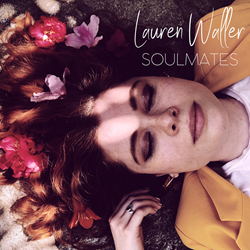 "Soulmates," a quirky, catchy, upbeat pop release, creates the unconventional character of a “psychopathic soulmate” in a romantic bond. Artist Lauren Waller’s new release explores the narrative of someone who drives you crazy with the way they show love. Waller explores the unusual theme of a “psychopathic soulmate,” someone who has created a mask by mimicking emotions and demonstrates charm to become a “soulmate” in a relationship. "Soulmates" weaves the images of a deceptive yet seemingly magical connection of emotional intensity never felt before, with a mixture of appeal and apprehension that is addiction. Waller’s expressive vocals toy with intonations reflective of the glib charm of the devious psychopathic character. The emotionally invested partner expresses betrayal having been lured into an intensely manipulative, controlling, yet compelling psychological bond, culminating with retrospective realization of the deception.